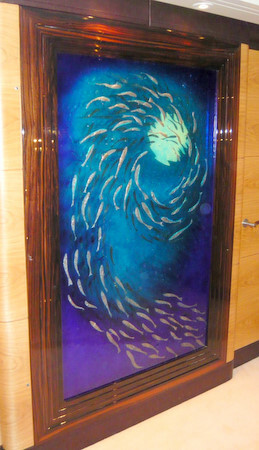 Glasszoo created this beautiful eye catching glass panel for the interior of luxury sailing yacht Mondango. 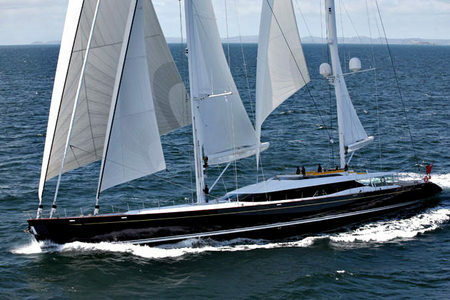 This 52 metre, two masted ketch was launched in September 2008 in Auckland, New Zealand. Julia Webster, Creative Director of Glasszoo partnered the interior designers to personally design and make this swirling marine landscape described by the owners of Mondango as "fabulous". Mondango is one of a few prestigious finalists for the "Best Sailing Yacht in 45m+ Size Range" at the World Superyacht Awards to be held on 16th May at the Guildhall London. Mondango thoroughly deserves to win, best of luck!